My name is Hana Ford. I attend Temple University and I am apart of the class of 2018. I went natural June 29, 2012, so I have been apart of the natural hair community for approximately two and a half years. I was attempting to transition however I simply did not have the patience so I just decided to do the big chop. The main thing that made go natural was the overall health of my hair. I was starting to experience lots of breakage and I tried everything to fix the problem, but I just was not successful in doing so. Every since I cut my hair I have become so confident in myself and I have started to value myself for the queen that I truly am. 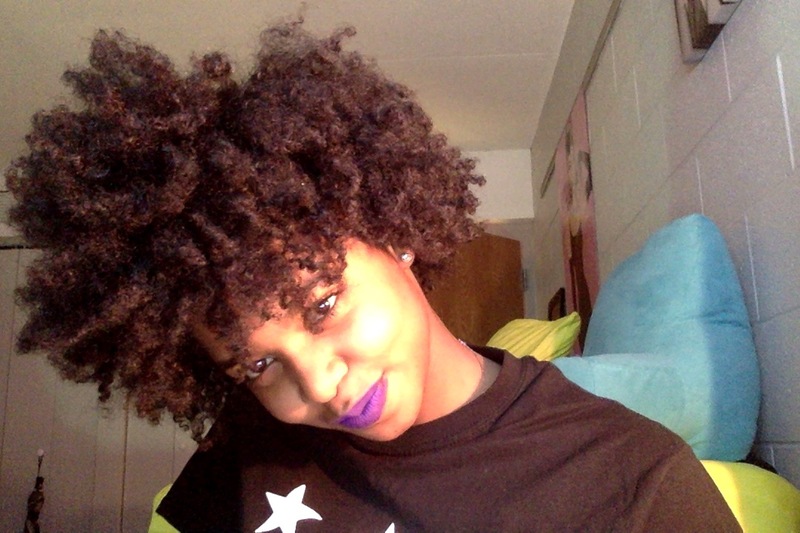 I think other people definitely perceive me as a much more confident and outgoing individual since I went natural. Since I have cut my hair I think people have subconsciously placed me in a group with all the other women and girls who have natural hair. I have much love for the natural hair community, but I have an identity outside of my hair and each person with natural hair is different in their very own way. My favorite part of my hair routine is styling my hair because there’s always numerous options. My top 3 hair products would have to be coconut oil, Cantu Leave In Conditioner, and Organix’s extra penetrating Argan oil. My top 3 favorite tools are my fingers of course, a Denman brush for detangling, and a wide tooth comb so I can pick out my fro from time to time. My current #WCW is the model Wakeema Hollis. She’s absolutely stunning and she rocks her natural hair in photo shoots which I absolutely love. My #MCM would have to be Pharrell because he is both timeless and ageless and he’s an icon in the music industry.